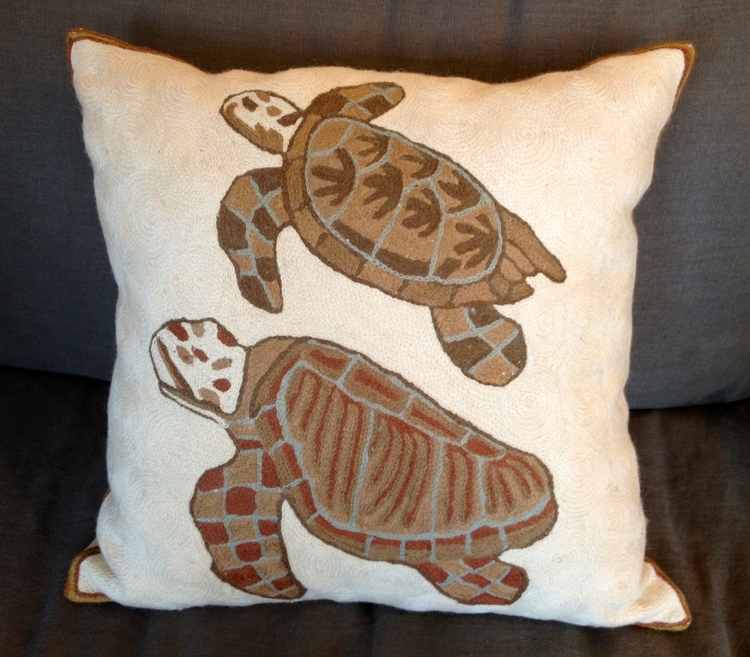 This pair of turtles belongs in any animal or ocean lovers home. Made of 100% wool, this pillow features the chain stitch technique used by natives of the Kashmir Valley in the Himalayan mountains. Designed by J&S International, handmade in India. Cotton canvas backing. Pillow insert included. Dimensions are 18" square.